So, there’s this amazingly funny show that has now completed it’s first (and only) season run over in the good old U.S. of A.
It’s a natural for the first in my Loved and Lost series. It was hard hitting, unafraid to tackle uncomfortable truths and realities head on, had two incredibly likable – if not necessarily trustworthy characters as leads – and a quick-fire pace – moving from topic/issue/interaction in a more intelligent manner most of the other drama’s I’ve been watching, especially in recent years! It was also a network show that felt like a cable one. Not particularly foul mouthed or graphic; it more had a very adult vibe, with no compromises in either the intelligence of the story or the pace of the show. 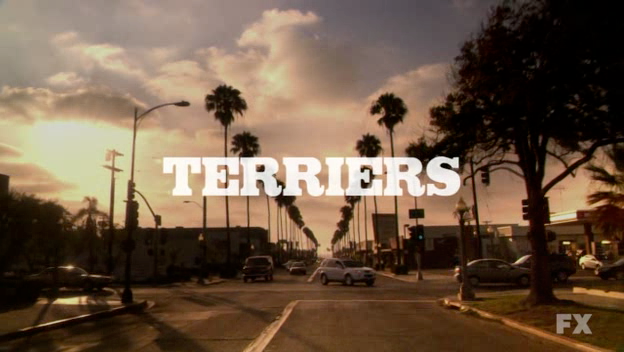 It’s called Terriers (I don’t know why, have to assume after the tenacious little dogs), and chances are, you won’t have been watching it. Heck, you might not have heard of it – except for in our delectable podcast. 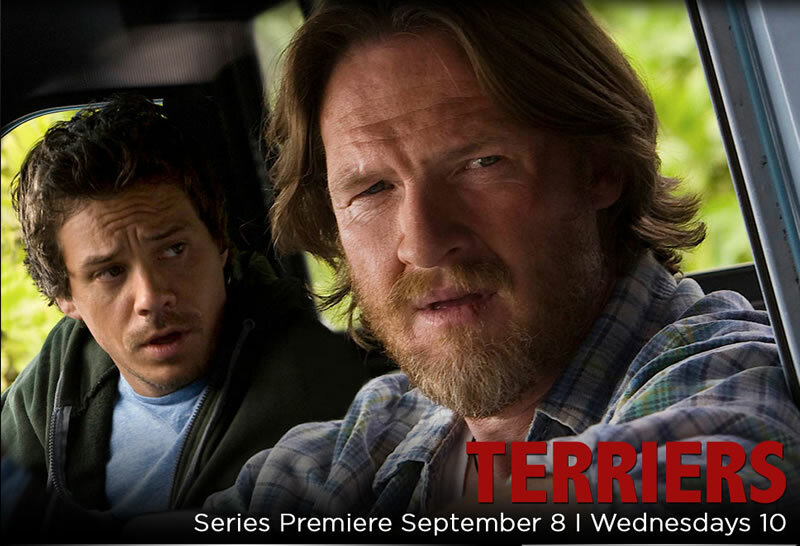 But if you like good TV, you really really should give this one a go! Hank Dolworth (Donal Logue) used to be a police officer. He used to be an alcoholic. He used to have a wife. Now…well… now… he has a best mate. Britt Pollack (Michael Raymond-Jones or Rene from True Blood) used to be a thief. 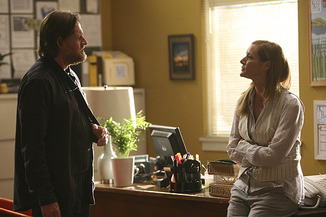 Now he and Hank are partners in an unlicensed private investigation business, based in Ocean Beach, California. As with all private detectives, they rely, abuse and generally pester the local police force, most notably Detective Mark Gustafson (Rockmond Dunbar), Hank’s former partner in the force, before the latters ignoble descent and subsequent firing. He also used to be a smoker, and remains, despite all the difficulties both a good cop and Hank’s friend. Now, no great men are complete without the support of great women, but as neither Hank nor Britt could described as great, their domestic set ups aren’t necessarily idyllic. Britt is dating Katie Nichols (Laura Allen), a veterinary student. She is understanding, has a bit of a wild streak and sometimes makes very foolish decisions while drunk (shocker that). Gretchen (Kimberly Quinn), Hank’s former wife, divorced him when his drinking took over. Though she still clearly has feelings for Hank, she wants someone to rely on, so instead becomes involved with Jason Adler (Loren Dean), an architect. Hank and Jason have their ups and downs, but turn out to have very similar moral codes, and end up working together on some of Hank’s cases. Additionally, Hank has a crazy sister, Stephanie, portrayed by Donal Logues sister IRL Karina Logue. She is a genius, with an unstable streak, and shows up on occasion, usually wrecking havoc. Her first appearance in the show is awesome – she is literally the shadowy figure, seen behind Hank, climbing down from the ceiling – living unbeknowest to him – in his attic! The final member of the crew is Maggie, Hank’s occasional employer and lawyer. Her rational and organised life is frequently disrupted by her client’s shenanigans (I NEVER get to use that word. *beams*). So, anyway, that’s the set up. The first couple of shows focus on a ‘monster of the week’, a specific crime, criminal, and investigation. However, once the show hit its stride, hints of an overarching criminal foe and longer term relationship arcs became the order of the day. But more than anything else, this was a show that was determined to make every dialogue line count – there isn’t a single throwaway remark. Every note is designed to prove a point, capture your imagination or make you laugh. As good as the show was, that’s how low the ratings have been. If FX had decided to renew the show (and they really really were thinking about it), it would have purely been out of love, not any commercial value. 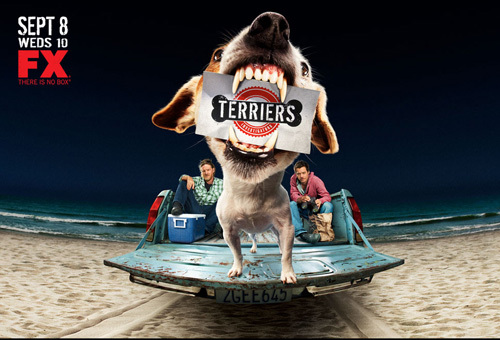 While I would love to see more of the duo’s adventures, Terriers has also managed to achieve the near impossible – a practically perfect first season. The final moment of the final episode – in an episode with some truly moving and dynamic scenes – is perhaps the most poignant. Then you can thank me with chocolates! Superstar Guest Star!! Reed Diamond! Culturally Fixated is delighted to announce our first ever SUPERSTAR GUEST STAR, the charming, witty and chatty Reed Diamond! 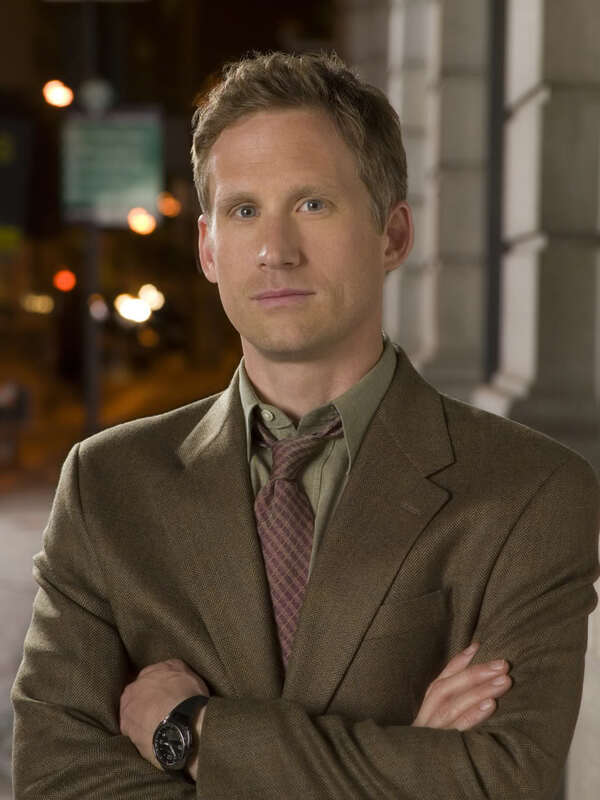 Reed is currently gracing our screens every Wednesday night (e4, 10pm)in Franklin and Bash – a new legal dramedy. He is playing Damien Karp – the jealous, arrogant and occasionally downright devious arch nemesis of the titular characters. Whedon fans will recognise him from his two year stint on Dollhouse as the enigmatic and secretive Laurence Dominic – the security chief in the house. And anyone who enjoys crime based shows will no doubt recognise him from Homicide – Life on the Streets, The Shield, 24, Cold Case, Castle, Monk, Journeyman, Numb3rs…I could go on, but my fingers are starting to seize up! Have a listen to CultFix 2.3 to hear us natter about tv, films, George Clooney and everything in between! Reed Diamond – our 3rd chat – HERE! Reed Diamond – our 2nd chat – HERE! Reed Diamond – our 1st chat – HERE! Subscribe to Culturally Fixated on iTunes! As I’ve said before, I have a gift for falling for shows destined to be cancelled. The shorter the run, the more I seem to love it. In fact, I’m developing a bit of a complex about even saying that I’m enjoying a show – so much does it seem to be the kiss of death! So, I decided to provide a little guide to my favourite shorten-ted, cliffhanger-ed, pull-ed from the line up, hidden-ed among the dross from the last few years cancelled, dropped or pulled shows. There are some real gems to chose from – many of whom never survived their initial release (Virtuality – take a bow), were let down (IMHO) by their networks (Dollhouse, Firefly, non-Whedon show Carnivale) or were conceptually sound but needed a leetle bit longer to find their feet (The Middleman), not to mention the shows that I happened to be enjoying that were plucked in their prime (oh Veronica Mars, will I ever get over your down-beat miserable and out of character ‘finale’? No. I will not.). But I’ve had to be careful. I mean, I still think that Buffy, Angel, Farscape and Jericho were all cut down too soon, while things like Stargate, Andromeda and various (ALL) reality TV shows are allowed to run long past their sell by date (sorry, going to detour around THAT inevitable rant). So – what’s the criteria here? Reluctantly, I’ve decided that cancellation alone is not sufficient to qualify. Otherwise the 20 series Law and Order could be included, and, when compared to shows that didn’t complete their initial episode count, well, it looks a bit arsy. So, there has to be a limited run on episodes. Bearing in mind that some shows have 22 episode runs, while others are restricted to 13 episodes, I decided to use a third season as a cut off point. Therefore, shows like Arrested Development (which I’ve heard greatly lauded, but haven’t yet watched), Roswell and Veronica Mars do not pass muster (though if I were to inherit/win/find/have bestowed upon me a veritable shitload of money, and discover that time is not my enemy, I can always go back and change my mind about this). It’s not that they weren’t killed too soon, it’s more that they were in fact given the chance to run. Look at Chuck, it had a really dubious pick up for it’s third season, but great story lines bumped up the ratings, and it was still iffy (but achieved) a season 5 renewal. Now, you might think that this is a given, but I quite enjoy a wide range of crap and puerile nonsense, more particularly in films that in TV I must admit, but still. I shall be self censoring – sorry Miss Match, you made me smile, but you were shockingly poorly written, and will not be included here, despite having Nathan Fillion in a role! Journeyman on the other hand, is a given. Additionally, these shows should ideally not have reached a natural point of cessation, there should be questions left unanswered, directions still to pursue. Cobbled on, half baked, illogical and simplistic endings do not count. So, bearing this in mind, Dark Angel slips out of the running. Sure, I could have used more of it, but, to be honest, Freak Nation (the finale) did actually cover the most salient running story arcs. It was a fitting end to the show, and although it didn’t answer every question about every character, it was satisfying. 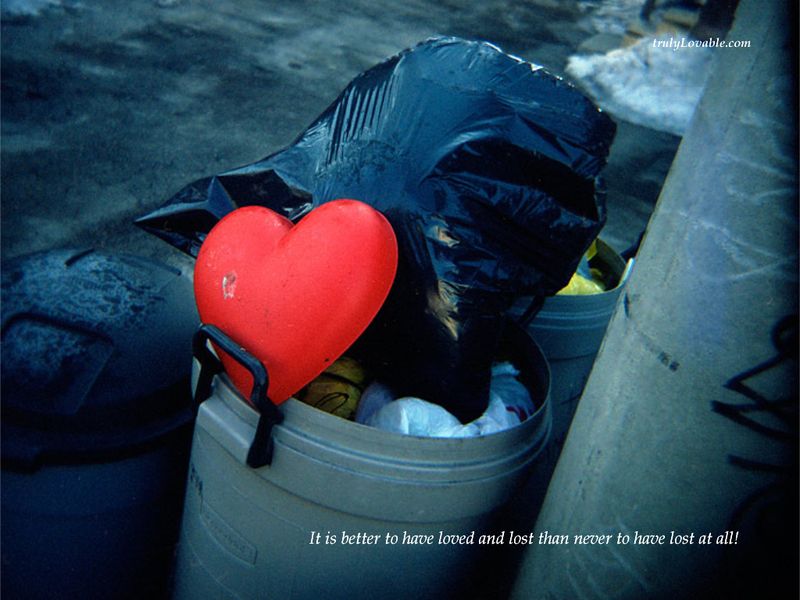 On the other hand, what a waste!? All that time and money spend creating a look and feel for the show, a viable world and post-apocalyptic setting, and then, dumped onto a Friday time slot, and neglected to death. But, Happy Town – although answers were given – still has far too many unanswered questions. It’s definitely on the list. I admit, my preferential viewing tends to be SF or Sci-fi orientated, which traditionally has a shorter shelf life than more mainstream options, so I will likely be covering shows that, in the main, fit into this mould – hey, it’s my list – it’s gotta be stuff that I’ve seen! I also very rarely watch sitcoms or half hour shows (scrubs and my name of earl being major exceptions), so Hank and the like are not being covered here. Oh yeah, shows that have been continued, or resurrected, are not eligible for this list, with one major exception. That is of course Whedon. In my opinion, the mere fact that his shows continue in some format – be it in comics, renewal via a network switch or films – demonstrates that there is a viable market, and the people demanded more! However, Family Guy and Futurama have both come back from the dead, and, are back on our screens, and so, live on, albeit with a time gap. I guess that’s it. I have a few certainties – shows that will be covered, but I’m open to suggestions. The advantage of this being an ongoing project is that I can add shows and the like as I go. I don’t understand this Internet of ours – where is the definitive ‘it’s been cancelled’ list for me to refer too? Instead I must remain dependent on my memory? This is insanity. I thought the whole purpose of the thing was that all the information I wanted was right there collected for me, preferably in a pretty font, with colour coding? Nope? I have to put effort in myself? Shocking. So I’m comprising a little table as I go. So far I have 50 shows, all neatly divided up into episode count, year and network. Which is turning out to be quite interesting. For example, Fox, as one might suspect, is responsible for killing off some of my favourite shows. Course that also indicates that Fox is more likely to make the shows that I want to watch. Which I hadn’t really thought about properly. And, if anyone fancies having a gander at it, let me know, I can email you a copy. Once again, as soon as I figure out how to do it, I’ll transfer the table onto t’blog! My favourite way of acquiring new music is to listen to soundtracks. You get such a range of music usually by different artists that – to my mind – it’s considerably better value in most cases than a single artist CD! There are some soundtracks that are widely regarded as justifying the word brilliant (just as there have been some right duds!). Recently these would include Singles, Oh Brother Where Art Thou, Garden State, Kickass, Juno and 500 Days of Summer. Even when I’m not necessarily enamoured with the films, I can’t help but sing along every time one of the tracks pops up in my play list. But my favourite pets are usually those soundtracks that were devised around particular a TV show. It goes back to watching ‘My so called Life’ and ‘Freaks and Geeks’** in my teenage (impressionable) years. Aside from being fantastic shows (don’t get me started – anyone who follows me on twitter will no doubt have seen me rambling about them), and genera defining, wonderfully written and the best representations of teenagers EVER, the music captured me totally and utterly. Even now, the moment I hear those opening chords of ‘Blister in the Sun’ by the Violet Femmes, an image of Clare Danes dancing on her bed – utterly free – pops into my head! 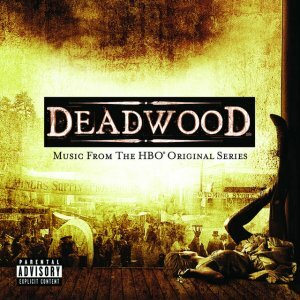 At the moment, I’m paying especial attention to the music affiliated with two shows in particular – Sons of Anarchy and Deadwood. I was late to the game on both of these shows … – I’ll cut myself off here – this is not the post to elaborate on my new found loves, instead I’ll restrict myself to the tunes. 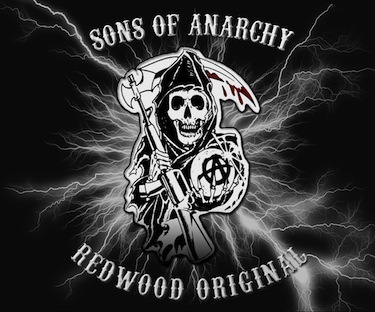 Despite having one of the most consistently brilliant soundtracks throughout its three seasons so far; SOA took the unusual step of restricting the music released to three short LP’s. As a result, each mini-album contains the absolute best of the best from each season. 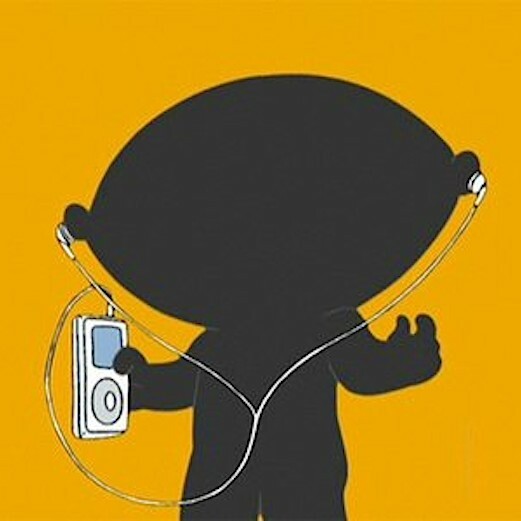 Every song released encaptures a particular theme within the show. There isn’t a single ‘free to skip’ song. These are albums of solid rock and roll. The old fashioned kind – where music and lyrics are each pivotal, with the added twist of being performed by less well known artists – rather than the loud angry metal that seems to be oft mistaken for the same in the charts today. Forever Young by Audra Mae & The Forest Rangers – a hauntingly beautiful track utilised so well in the show. Ruby Tuesday by series star (and Futurama alum) Katey Sagal – one of my favourite songs of all time. Hey Hey, My My by Battleme – the title track for the third series. Every episode opens with a fantastically atmospheric piece by David Schwartz. Unusually, every episode ends with a different track. From Bob Dylan and Bruce Springsteen to K.D. Lang and Bessie Jones – each track is carefully selected to match the mood of the episode that preceded it. Although there is great variety between style – vocally and musically – content – heck, even the era of the song – they weirdly work well together to form a fantastic collection of music. **The music was so integral to the show Freaks and Geeks that the definitive DVD release was delayed by several years until permission for every single song used in the original TV run was successfully received for re-release.